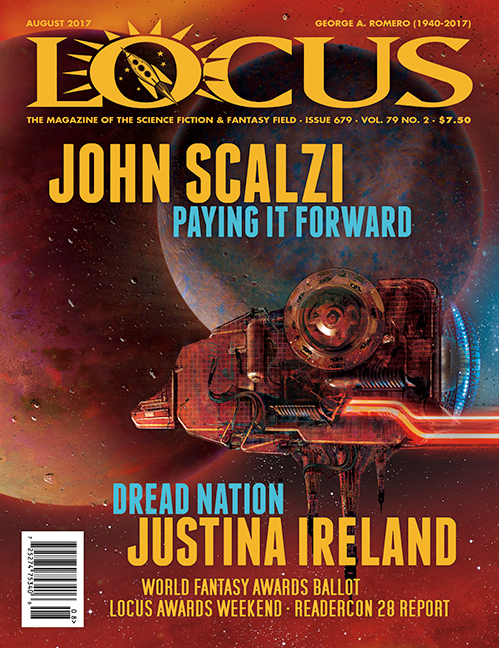 Thank you for your interest in Locus Magazine. Here you can test downloading and reading Locus in the formats we offer. To subscribe, visit Locus Online here. You can also buy single back issues on this page. The August issue features interviews with Nancy Kress and David D. Levine, a column by Kameron Hurley, reports on Locus Awards Weekend and Readercon with lots of pics, and reviews of short fiction and books by China Miéville, Jennifer Mason-Black, Jonathan Strahan, Matthew M. Bartlett, Walter Jon Williams, and many others.